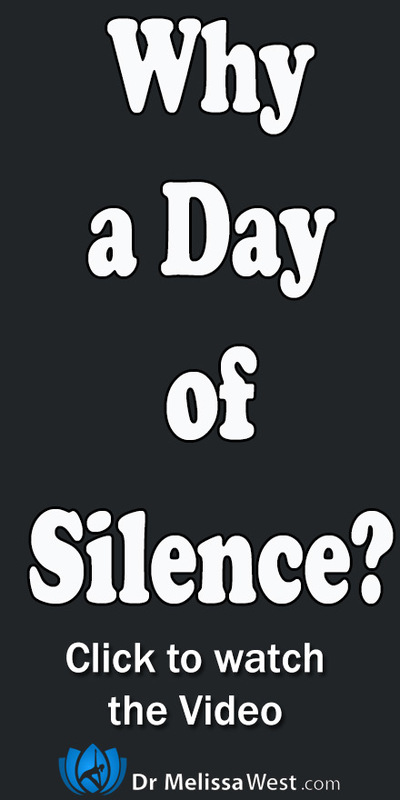 Why a Day of Silence? I hear again and again how my yoga students feel worn out, anxious, stressed, distracted, pulled in a thousand directions, obligated to too many things, lack focus, motivation and time in their lives to do what really matters to them. We talked a lot about this form of violence in the first class of the Focused Living series. Recently our members have become intrigued by my practice of taking a day of silence once a week. I was inspired by Mahatma Gandhi. For years, Gandhi spent one day a week in silence, no matter how many people had come to meet with him or how many obligations had. Gandhi said he was never tired because internally he was always at rest. I was introduced to the practice of taking a day of silence when doing my training with Phoenix Rising Yoga Therapy. The practice is slightly difference from a vipassana retreat where you are not supposed to read, use any media, write, make eye contact with anybody. The only difference in the day of silence that I was taught was that although I was not allowed to take anything in, I was allowed to express myself through journaling or any form of artistic expression that I wished. Let me tell you three things I receive from taking a day of silence each week. The first thing I noticed, especially the first day I took a day of silence (and this motivated me to want to continue taking them) was an incredible increase in energy. Talking and communicating takes a lot of life force. When you withhold from speaking for a whole day, that life force gets reserved within you. The second biggest benefits of taking a day of silence is the complete external stimulus detox you will receive. In our culture we are constantly being bombarded by communication, social media, media, information, social pressure, and external stimulus. Taking a day where you intentionally choose NOT to digest any new material is incredibly calming. The third thing I love about my days of silence is that it has helped me to come back from burnout. When I decided to take a day of silence once a week back in early 2015, I was coming dangerously close to burning out. I’ve been there before, so I could recognize the symptoms. If you are in a constant state of chronic fatigue, a day of silence will help you restore your energy reserves. I love how Thai, from The Utopian Life, describes this as taking a break from the tyranny of productivity. If you are interested in taking a day of silence, I will offer you another blog post with some tips on how to take a day of silence.